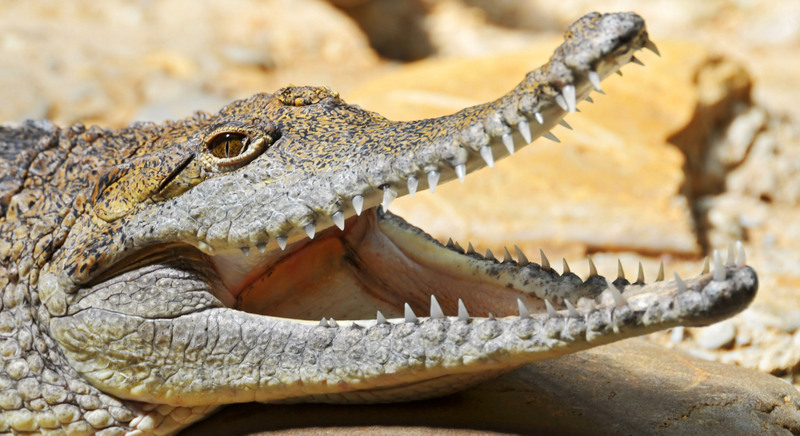 INDONESIA: In an idea that seemed to come straight out of a James Bond film, Indonesia's anti-drugs agency has proposed building a prison guarded by crocodiles. Waseso said that crocodiles would be better at preventing drug traffickers from escaping prison as they could not be bribed - unlike human guards. The plan is still in the early stages, and neither the location or potential opening date of the jail have been decided (later Waseso revealed he also wants tigers and piranhas as guards). love it !!! and you don't have to pay crocodiles either or feed them?? the prisoners will do that for you..    hehe.